We take your privacy very seriously and the collection and use of personal information is for contest purposes ONLY. We will never, ever sell your information to ANYONE. Third parties provide some of the content on the Website. You should be aware that content on the Website might contain errors, omissions, inaccuracies, outdated information, and inadequacies and that the content may be subject to terms and conditions which may be found on the Website or in the documents and policies of third parties. SongDoor makes no representations or warranties as to the completeness, accuracy, adequacy, currency or reliability of any content on the Website. In addition, third parties may offer goods, services and other materials to you on the Website. Your correspondence and business dealings with others found on or through the Website including, without limitation, the payment and delivery of products and services, and any terms, conditions, warranties and representations associated with such dealings, are solely between you and the relevant party. You agree that SongDoor will not be responsible or liable for any loss or damage of any sort incurred as the result of any such dealings or the offering of such products, services, and other content on the Website. SongDoor claims no ownership rights in the text files or musical works (collectively, "User Uploads") that you directly upload to the Website. After uploading your content to the Website, you will continue to retain all ownership rights to that content. 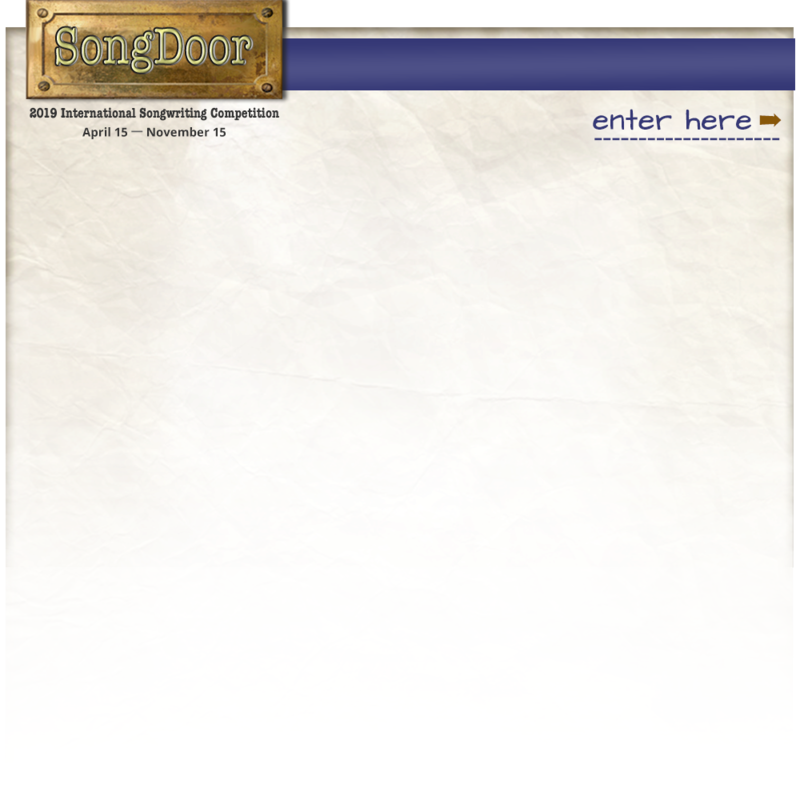 By uploading your content to the Website, you hereby grant to SongDoor a limited license to use and publicly air the content in the event that you are a Grand Award or Category winner. By uploading your content, you represent and warrant that: a) you own the content uploaded by you to the Website and b) the publishing of your content on the Website does not violate the privacy rights, publicity rights, copyrights, contract rights or any other rights of any person. You agree to pay for all royalties, fees, and any other monies owing any person by reason of any Content published by you to or through the Website.